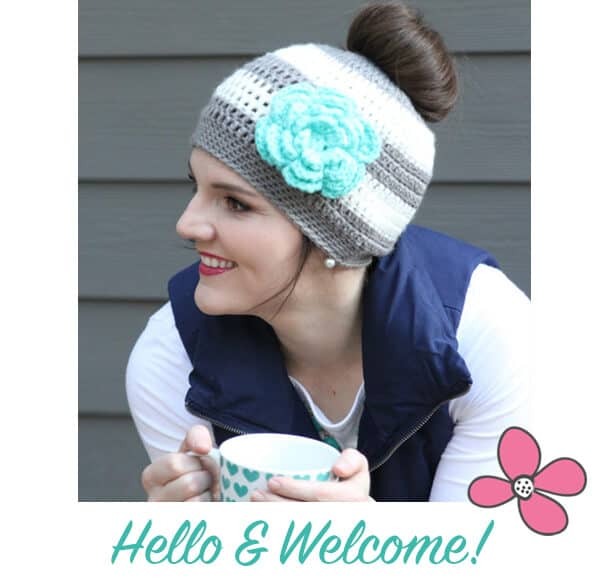 This flower coffee cozy crochet pattern is the newest crochet pattern from Daisy Cottage Designs. 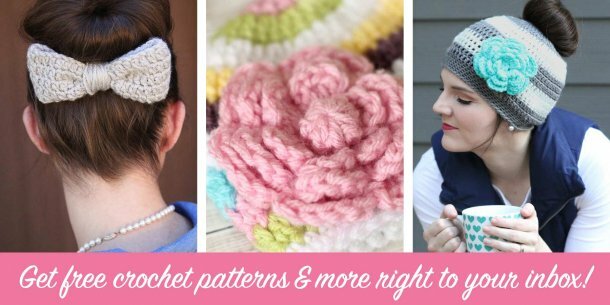 As you may have noticed, I haven’t posted many new crochet patterns in the past year. We had a crazy (don’t worry – in a good way) year and there simply wasn’t much time for creating patterns. I’m thankful for the quiet time I had this morning to sit down and whip this up. It was quick and I know it’ll make a great stocking stuffer this holiday season. 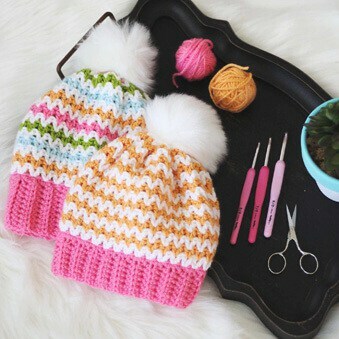 2 colors of yarn – you can use any type you want, even different weights. 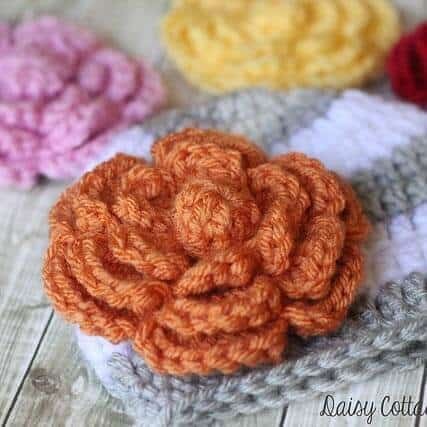 I used StyleCraft Special DK. Instructions for the flower are at the bottom of this post. A larger version of this flower is available here. IMPORTANT: This pattern is worked without a seam. It’s important that you mark the first stitch of each round so you don’t lose track of where you are in a row. To get started: Chain 32. 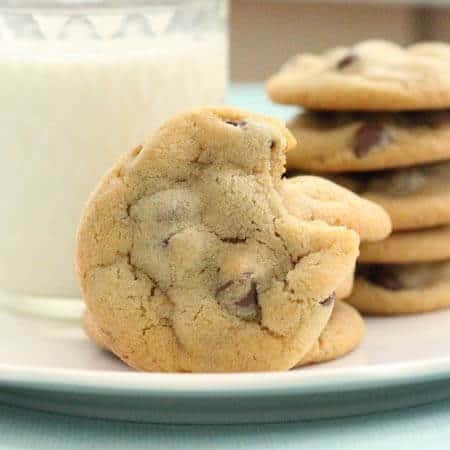 Compare this to the diameter of your coffee cup. 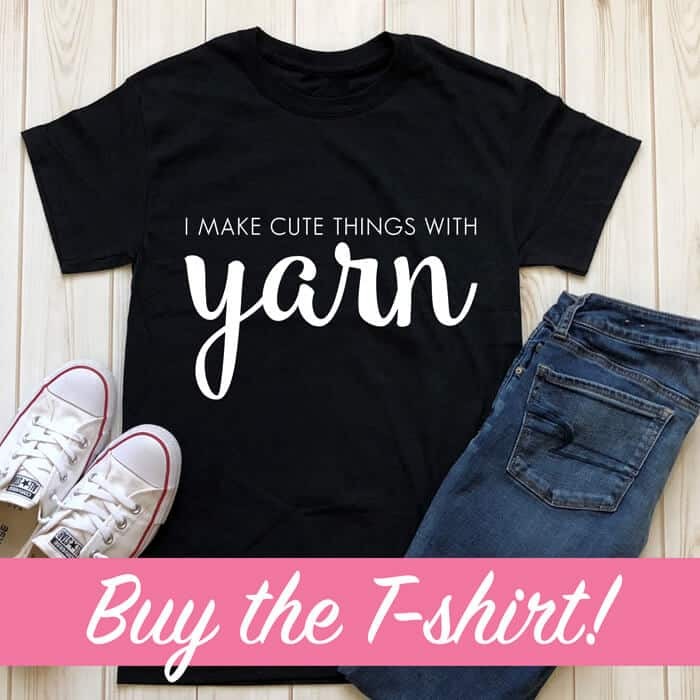 If it’s too big, add multiples of two until you reach the size you need (make sure you end on an even number of chains); if it’s too small, remove two stitches at a time until you have the size you need. 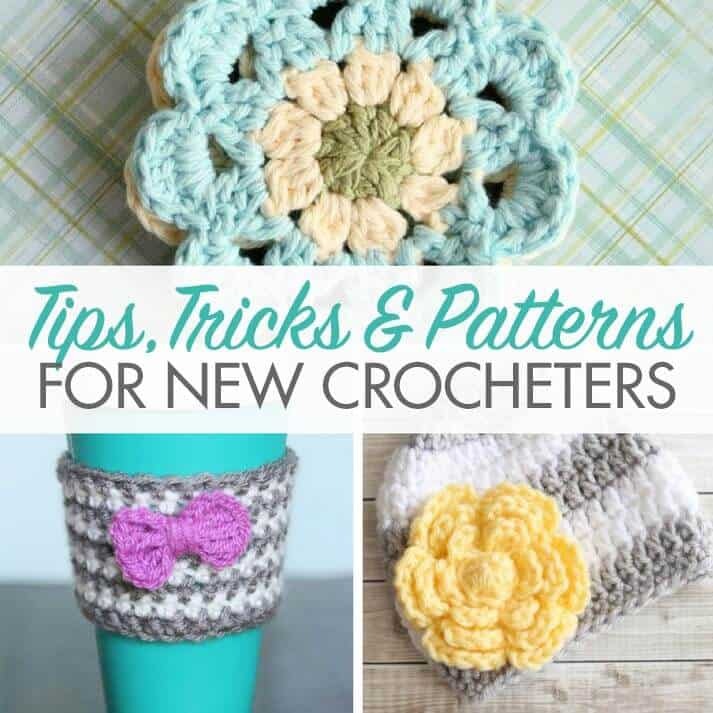 Once you’ve got the perfect size, slip stitch to join. You don’t want it loose by any means, but you definitely don’t want it to be a fight to get it on. The last thing you want to do is be fighting with a hot cup of coffee while trying to get the cozy on it. Round 1: ch 1 (mark this with a stitch marker, a small piece of yarn, or a safety pin), sc in the remaining stitches. DO NOT slip stitch to join. You’ll just begin your next round in the spot where you’d usually sl st to join. Round 2: 2 sc in the first stitch (remember to mark your first stitch). Skip the next stitch. *2 sc in the next stitch, skip the next stitch* around. Don’t slip stitch. Just start your next round in the first stitch (the one you already have marked). 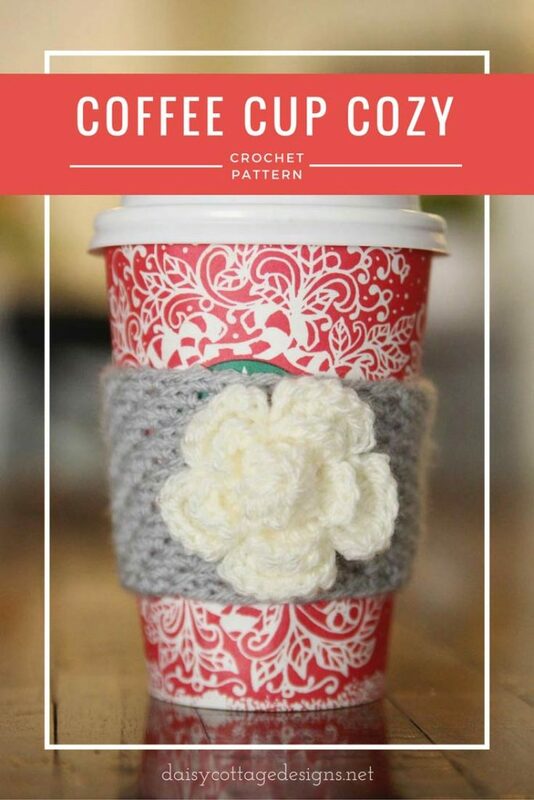 Continue working Round 2 until your coffee cozy is as wide as want it. Final Round: 2 sc in the first stitch. Skip the next stitch. *2 sc in the next stitch, skip the next stitch* around. Sl st to join. Round 2: ch 2, 3 dc into the same stitch, ch 2, sl st into the same stitch. *ch 1, sl st in next stitch. ch 2, 3 dc into the same stitch, ch 2, sl st into the same stitch* around. (5 petals made). Cut yarn and weave ends. 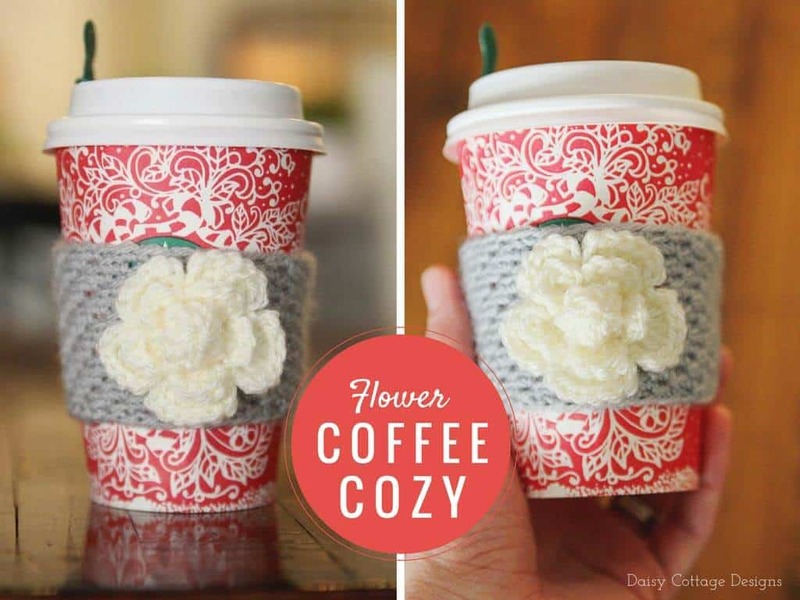 You may wish to leave a long tail for sewing your flower onto the cozy.